During the heat wave last week, I searched for some refreshing summer drink alternatives that would still get a thumbs up from my son and his friends, but weren’t packed with sugar and void of any nutrients. Although I’m a water and lemon girl, I understand that sometimes water just doesn’t cut it (especially for teens), and I set out to try some recipes (and create a couple of my own) using fresh organic berries from the farmer’s market. 1. Whirl strawberries with sugar, zest and 1 cup water in a blender until puréed. Strain through a sieve into a large pitcher. Stir in lemon juice and 2 more cups water. If mixture is too thick, stir in more water or lemon juice. 2. Pour into glasses and top with ice cubes. Lemonade tastes best the same day it’s made. Note: This recipe is modified from the original version at Chatelaine to include less sugar. 1. Make syrup by mixing sugar with water in a small saucepan. On medium-high heat, bring to a boil. Stir in strawberries and raspberries and remove from heat. Cover and let stand for one hour. Strain, then stir in lemon juice. 2. Make soda by adding syrup to sparkling water. Adjust flavor by adding more syrup. Note: Don’t throw away the berries left in the strainer. Try eating with ice cream for a delicious dessert. 1. Add hot water to a heat proof pitcher. Place tea bags and honey in water, stir and let steep for one hour. 2. Remove tea bags and stir in ice cubes. Cut lemon and add to tea. Stir in raspberries and place in fridge for at least one hour. Note: Some of our favorites for making iced tea are Swampwater, Goji Pop and Midsummer Night’s Dream from David’s Tea. We also like to add fresh mint once in awhile to change things up. For a delicious cocktail version of any of these recipes, try adding vodka. I’d love to know what you think. Our go-to is the slightly sweet iced tea. We keep a pitcher in the fridge throughout the summer and most of my son’s friends have grown accustomed to this healthier alternative to the can of mix packed with sugar. 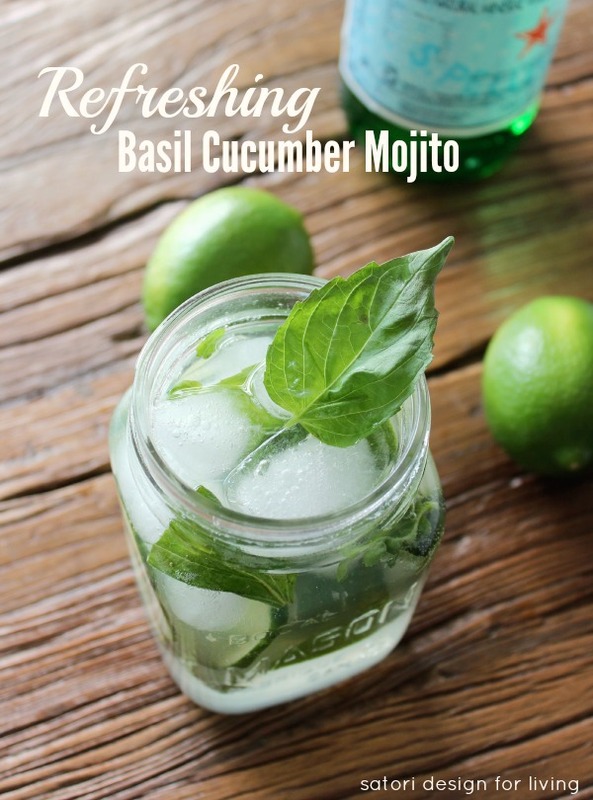 We also enjoy mojitos all summer long! 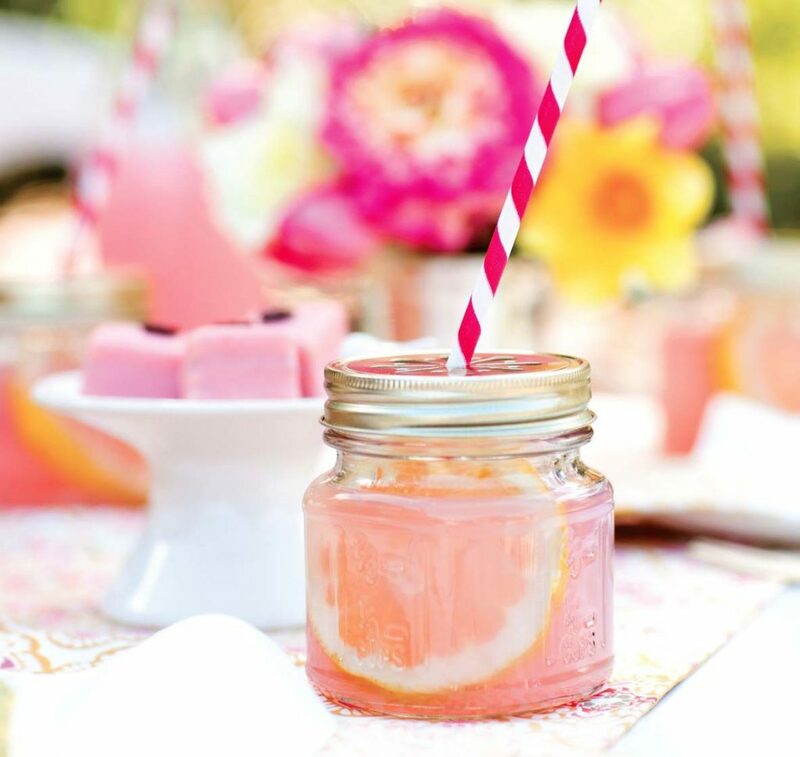 What are some of your favorite refreshing summer drinks? Yay, thank you so much for sharing this!